To enter the close friend arena of mine, you’ve gotta do one, simple thing. You must like sad crap. Music, movies, TV, books, everything. The more sorrow, the better. If a book, movie or song won’t make me cry, I honestly want no part of it. My closest friendships have been forged over a heartbreaking song or a gut-wrenching movie. These people GET ME. I’m not alone in this melancholy thinking, either. A study just came out revealing that people who prefer sad things are actually healthier because they are able to empathize with others. So harumph! I made this ridiculously delicious pizza while binge watching Parenthood (A+ for tears, btw). We both posted Pizza recipes today! Funny 🙂 Yours looks delicious and I love the play on words buffalo chicken/ buffalo chickpeas! I’m going to have to try this! 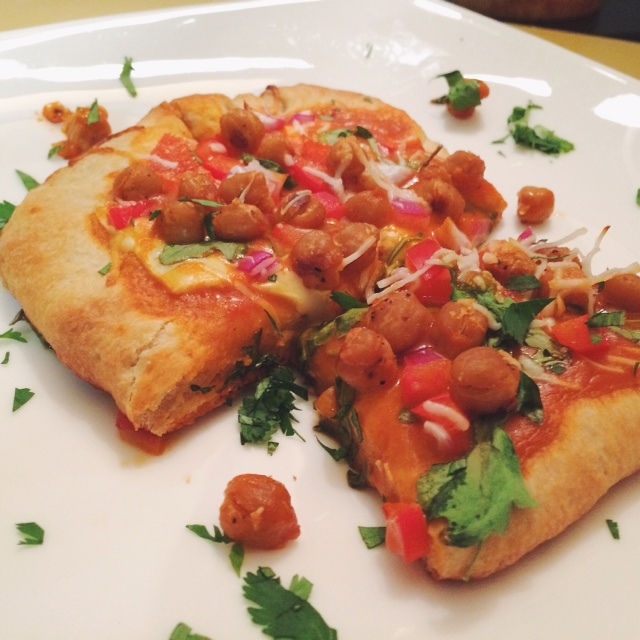 I have never tried chickpeas on a pizza. Definitely going to try this out. Thanks for sharing! My mouth is seriously watering while reading this. I need to make it ASAP! I just finished the leftovers for lunch & mine is still watering. I hope you try it & let me know how it turns out! Thanks for reading! 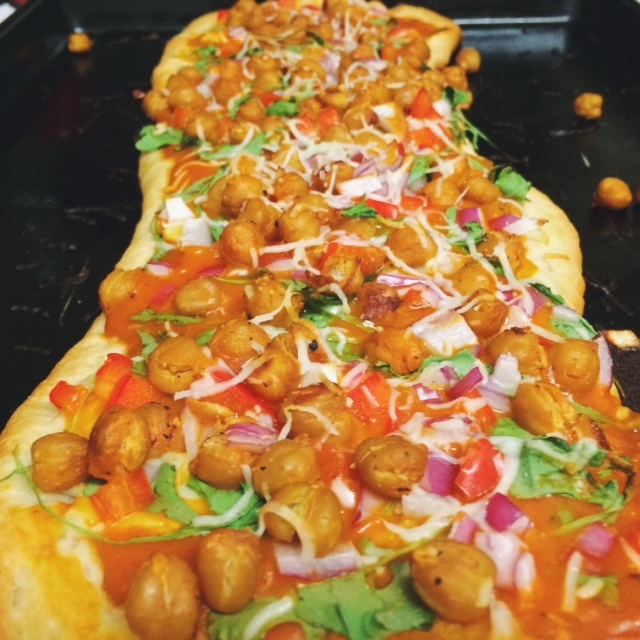 love pizzas and chickpeas, so together they must be even better! thanks for liking my post too! Oh thank you so much – you’re too kind! Thanks for reading & I hope you try it! I made a blog about it – it’s really delicious it kind of tastes like an egg omelette haha but it works!! I don’t hate this. 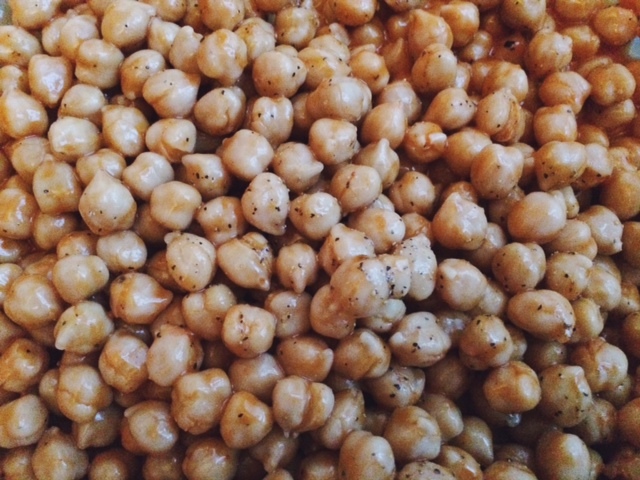 There aren’t a lot of chick pea recipes so I will try any recipe with them. The fact that they are on pizza is just a bonus way to eat them. Yummy!! Can I be happy when I eat it though? Love your recipe – found your comments on sorrow interesting. I feel most “at peace” with my inner voice while feeling blue – most creative – most comfortable. 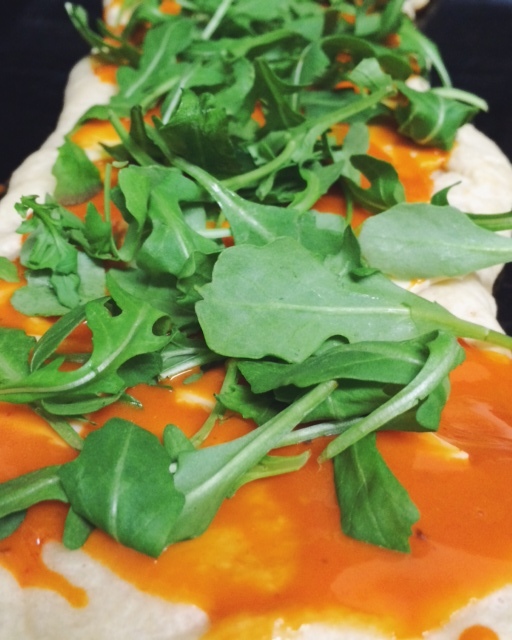 Will need to give your pizza a whirl while watching a sad movie. mmm this looks good. I’ve got a can on chickpeas collecting dust in my pantry because I can’t think of anything to do with them. Maybe I’ll try this! 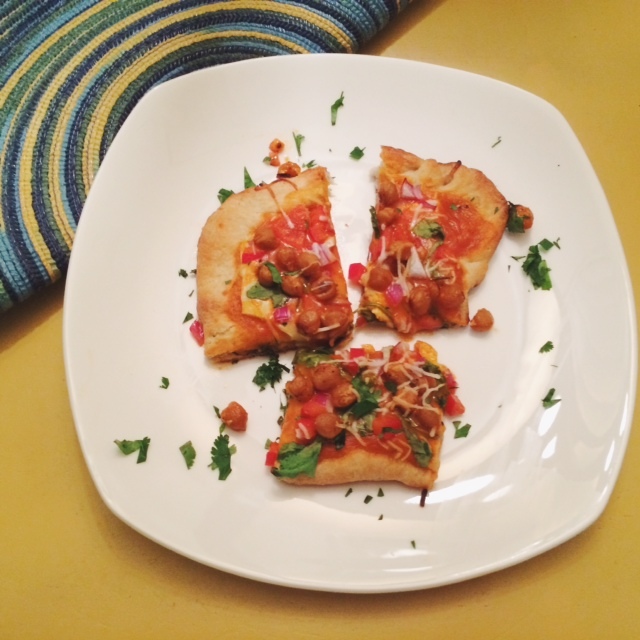 Easy & tasty – hope you give it a try!